I find it very disturbing that the pharmaceutical industry has succeeded in doing what the biotech industry (thank goodness) has been unable to – Anyone who questions vaccine safety is labeled an anti-science nut. Which of course is not true. Many of the people questioning vaccine safety are doctors, scientists and informed parents. There are so many reasons that informed choice and consent about vaccination is important. The industry who makes our vaccines are the same huge corporations who are raising prices on insulin (to the point where people are dying) and who spend millions of dollars trying, and too often succeeding in buying our representatives. There have never been safety studies on the cocktail of vaccines that are now recommended for our children. How do they interact with each other and how does that affect our health. Since 1986, vaccine makers in the US are not liable if you or your child are injured or killed by one of their products. This gives them no reason to even begin to care about safety. There are risks for all vaccines and when you go to your doctor most are not showing you the vaccine inserts or going over the possible reactions with you. 1) If they’re so effective then why does it matter if some people opt out. – If vaccines were so good they could be used only by people who choose to use them and they should be protected by whatever disease the vaccine is for. 2) Why are we vaccinating against diseases that are usually mild and incur lifetime immunity like Chicken pox, Measles and mumps. My generation had all of those diseases when young and they were minor illnesses. Our kids were taken to ‘chicken pox parties’ to make sure everyone had the disease and was over it at one time. But now the industry is using fear tactics to scare everyone. 3) The CDC is not an impartial agency. They own vaccine patents. 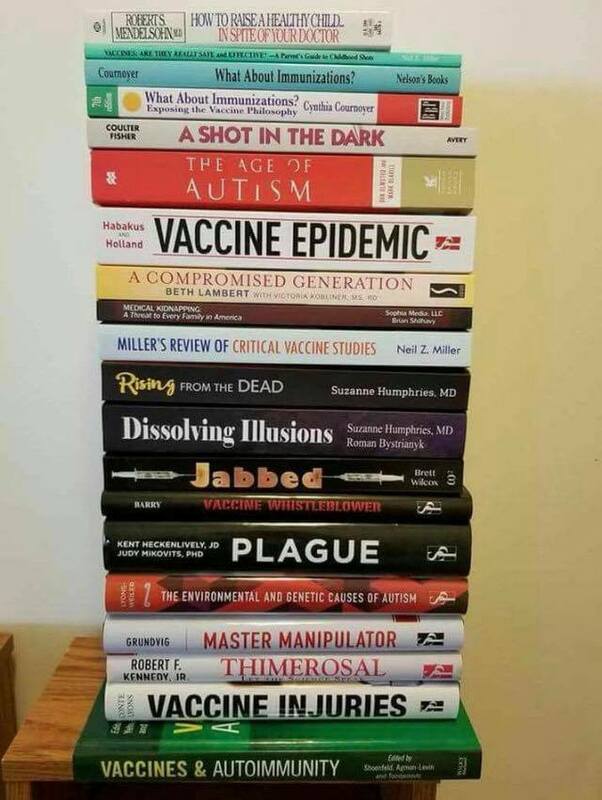 There are many doctors and scientists questioning vaccine safety and just like what happened with GMOs, the industry is trying to silence these voices. Industries do this when they have something to hide. There is censorship going on as well. A number of sites giving factual, scientific information about the risks of vaccines are being censored on social media sites. Please educate yourself. Share with friends and neighbors. It’s important. Thimerosal – Robert F. Kennedy jr. Vaccine Whistleblower – Kevin Barry and Robert F. Kennedy Jr.